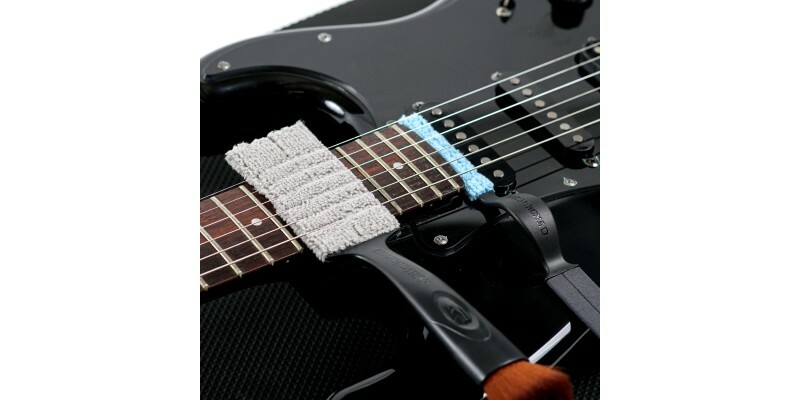 The MusicNomad The Nomad Tool Set includes both the original Nomad Tool, plus the Nomad Slim Tool, providing the complete solution for cleaning any part of your guitar. 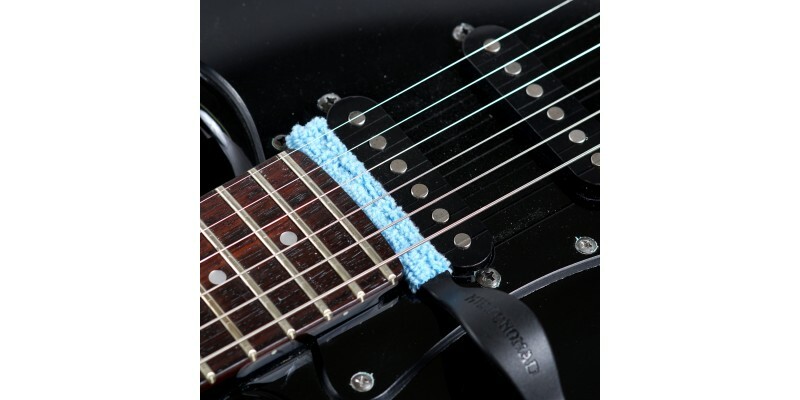 Now available from Merchant City Music, online and in our Glasgow store. 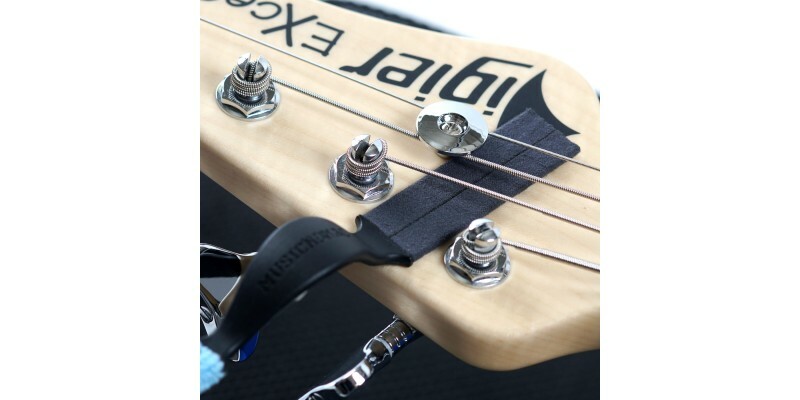 We ship fast to the UK, Europe and beyond. 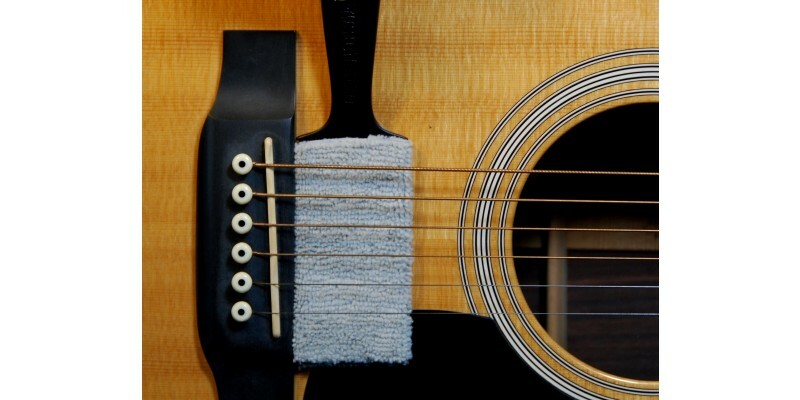 MusicNomad’s innovatively designed and patented Nomad Tool paired with their small yet powerful Nomad Slim is the perfect team to easily maintain the quality, sound and cleanliness of your equipment. 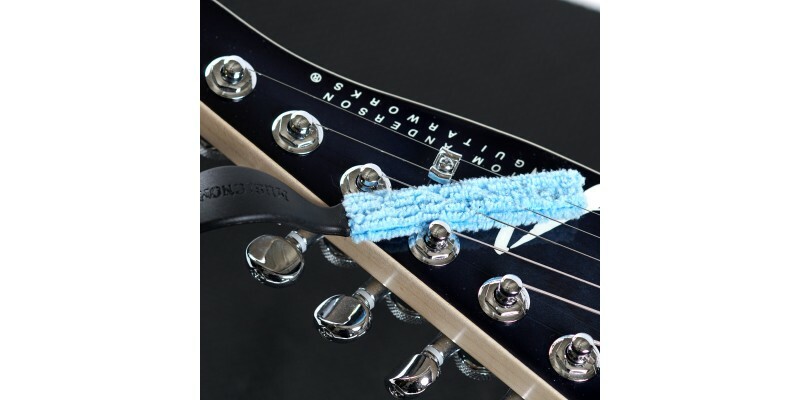 The Nomad Tool extends the life & preserves the tone of your strings while keeping the body & hardware looking like new without any cleaning solutions. 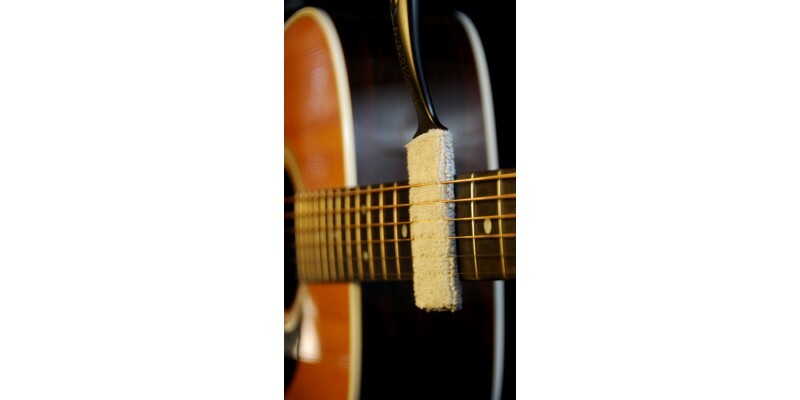 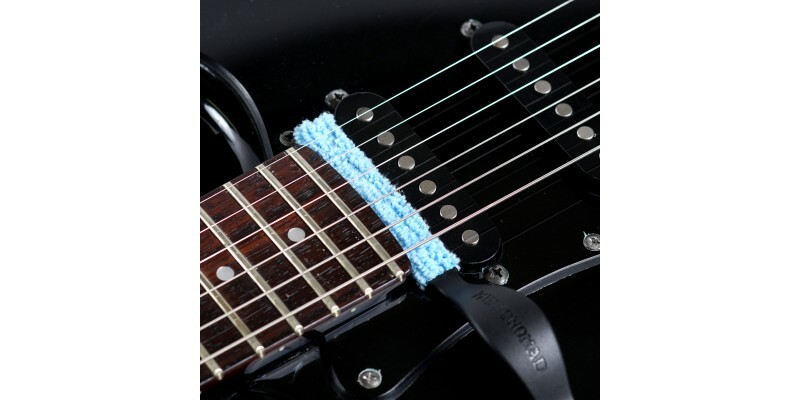 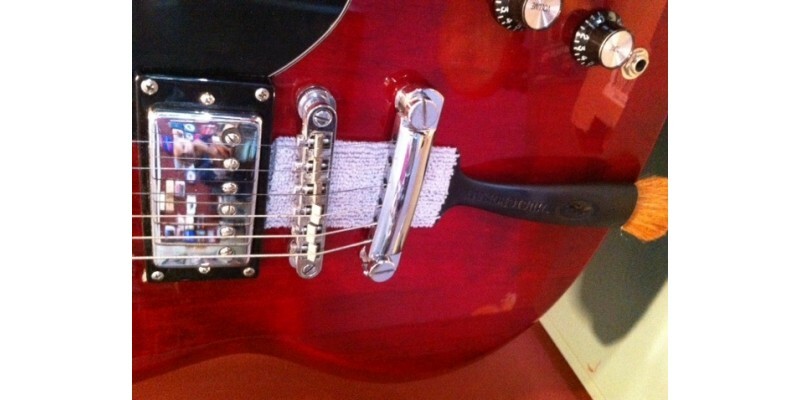 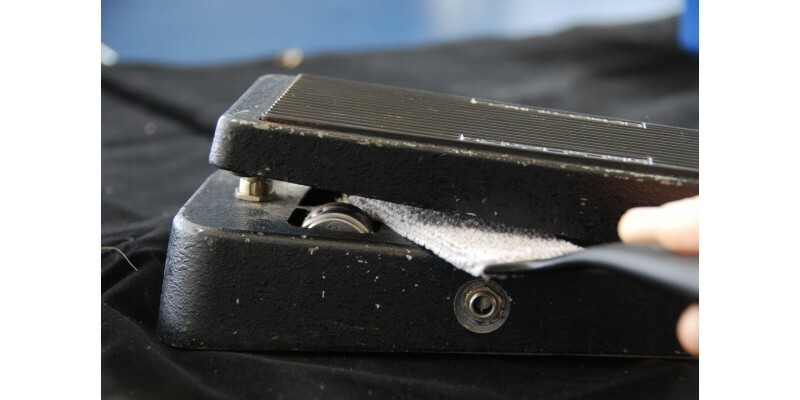 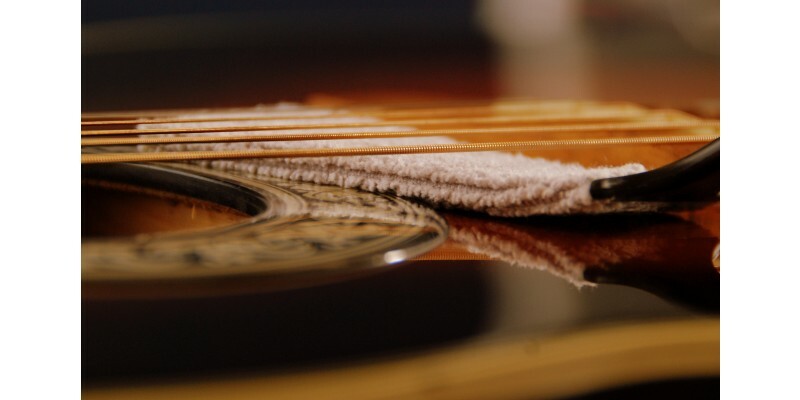 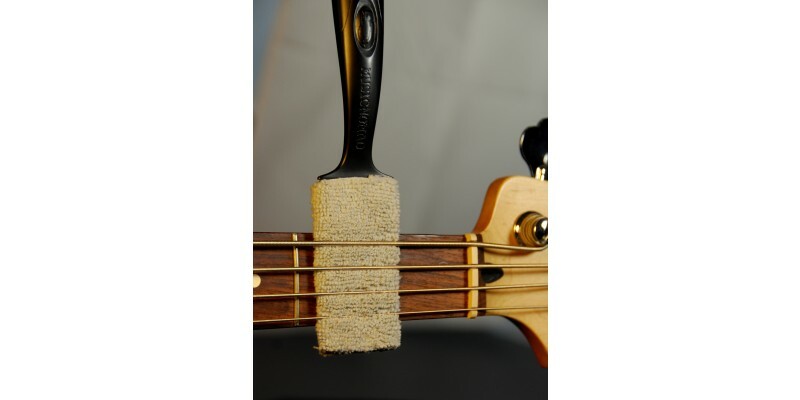 The Nomad Tool’s microfibre pad cleans on top AND underneath guitar strings in seconds. 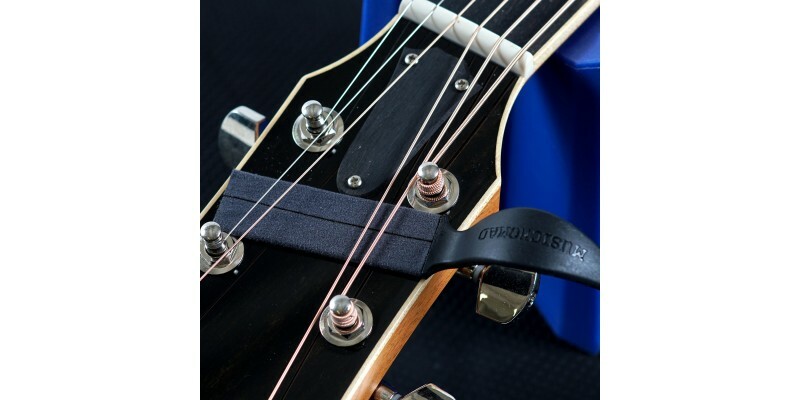 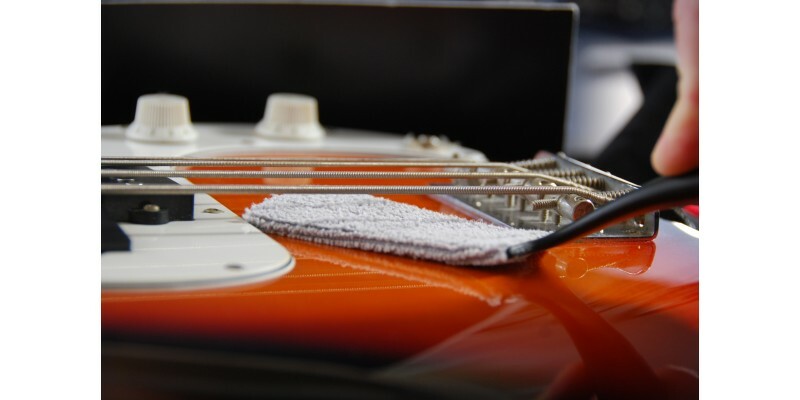 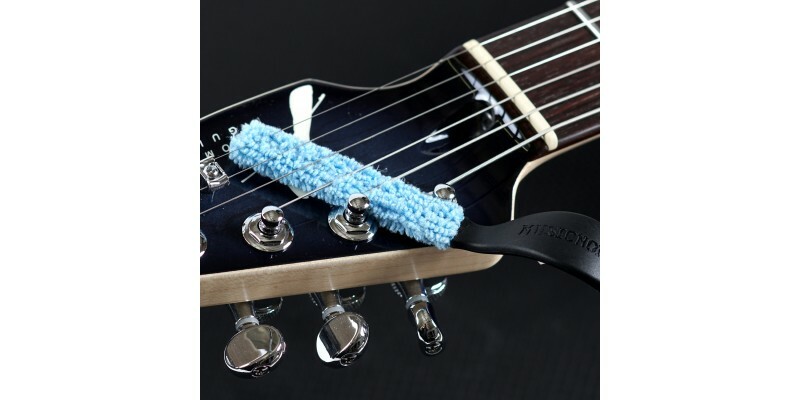 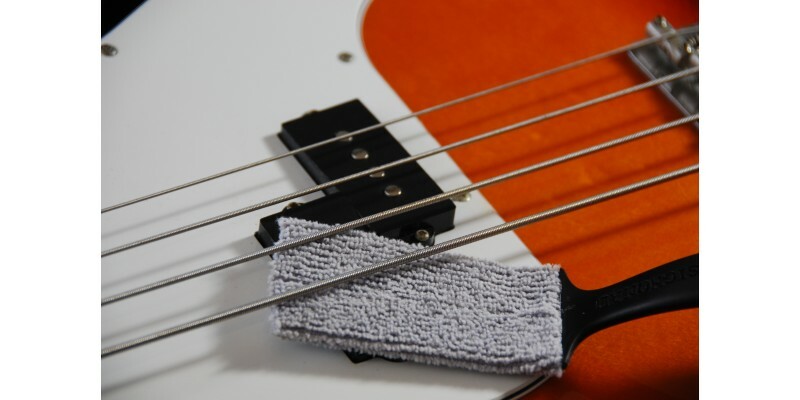 The dual sided microfibre pad protects the frets and fretboard from damage when cleaning underneath your strings while at the same time cleaning them. 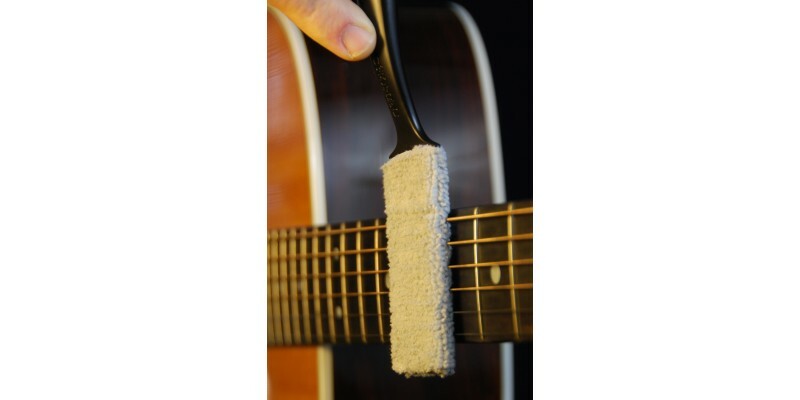 The Nomad Tool’s large pad is also great for removing dust, grime and fingerprints on the instrument’s body and hard to reach areas. 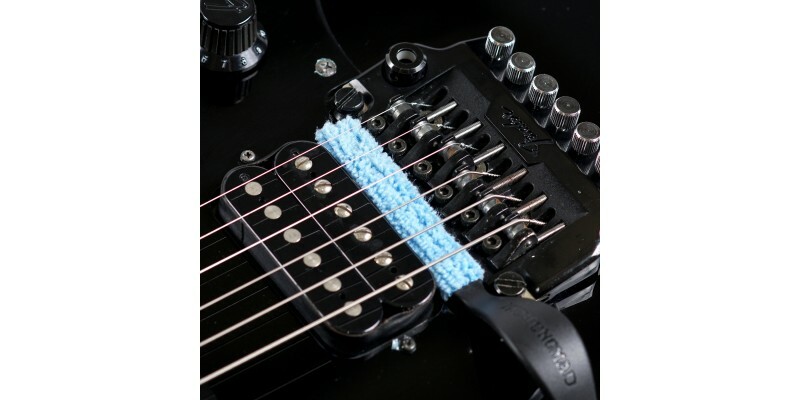 The super soft, brush fibres on the opposite end helps you guard against dust buildup and provides delicate care for the body, bridge, pickups, saddles, tuners, headstock and more. 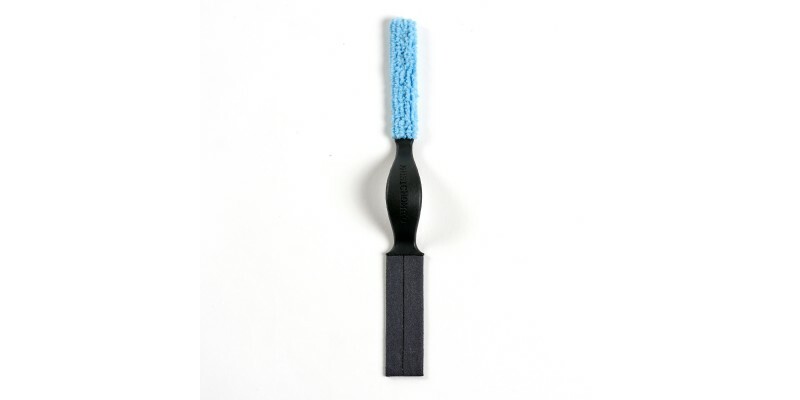 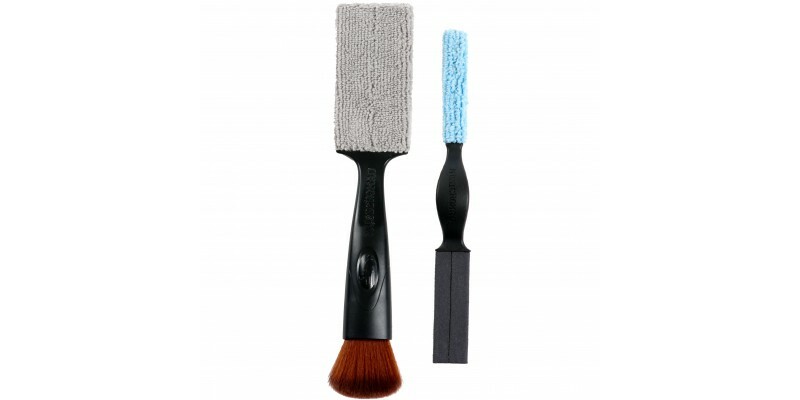 Trying to clean those hard to reach areas? 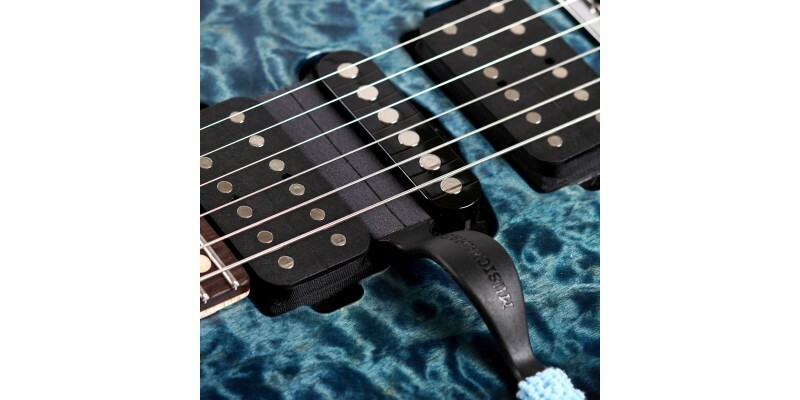 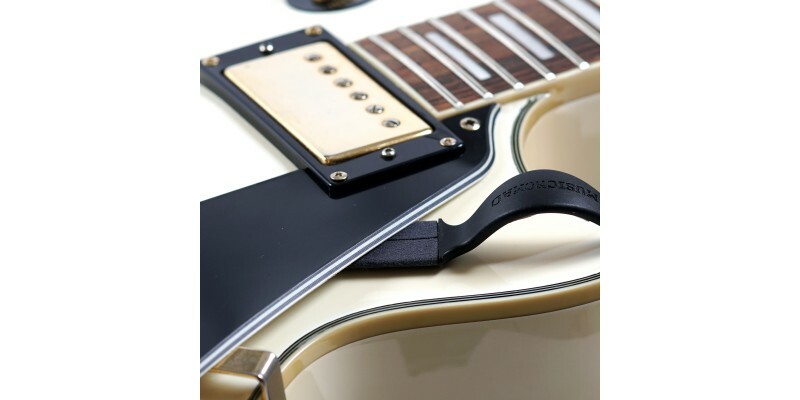 The Nomad Slim gives you the ability to get in between pick-ups and under floating bridges, floating pick guards, strings on your headstock and more. 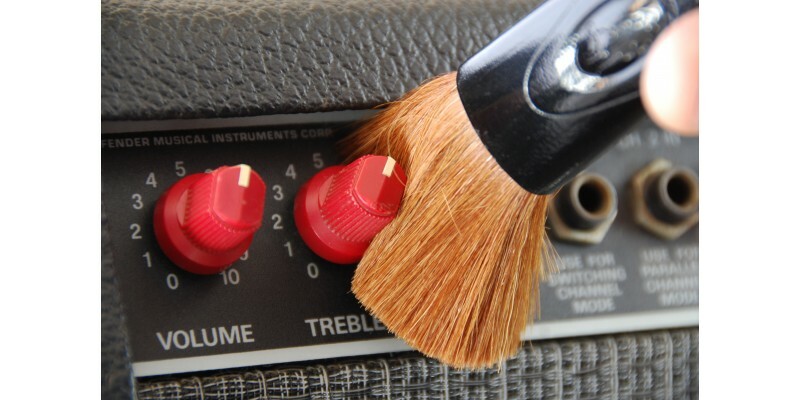 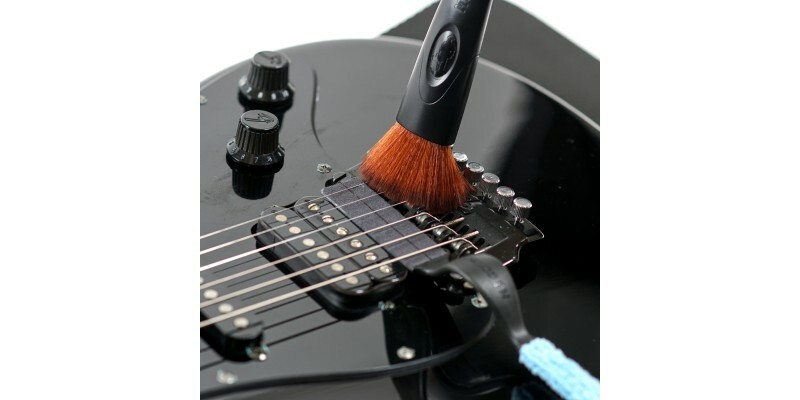 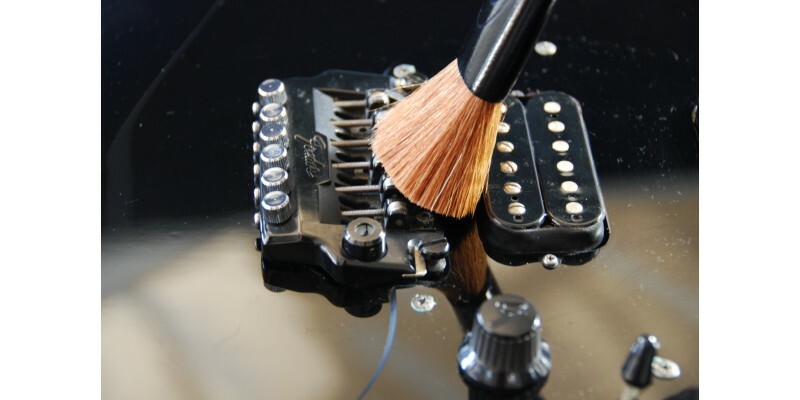 Cleaning off dust & grime is a critical step before you apply any polish to avoid scratching the finish. 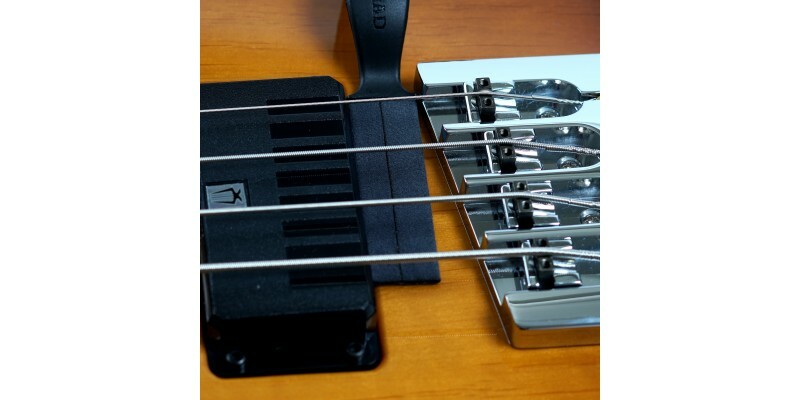 The Nomad Tool and Nomad Slim can be used on all electric and acoustic stringed instruments, drums, mixers, computers, pedals and more.